MentorPlus Wellington workshop 12 & 13 May - 5 places left! Read more about this programme and register online now. Her presentations at the Festivals of Education in Auckland and Christchurch late last month. At these presentations we talked about how we need to do more to ensure that the knowledge, skills and resources we possess within our tertiary institutions are used to better support the needs of our local communities – and in particular the programmes within our communities that serve our rangatahi. Pat's presentation. You can recognise the contribution that young people make in their communities by nominating a young person today. Nominations are open and will close at 9am Monday 28 April. 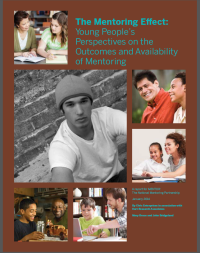 The Mentoring Effect is a compelling new report informed by the first-ever nationally representative survey of young people on the topic of both informal and formal mentoring, to understand their perspectives on the outcomes and availability of Mentoring. The experiences of the young people surveyed showed significant positive outcomes for those who had a mentor. At-risk young people with mentors were more likely to aspire to attend and to enroll in college. They were more likely to report participating in sports and other extracurricular activities. They also were more likely to report taking leadership roles in school and extracurricular activities and to regularly volunteer in their communities. 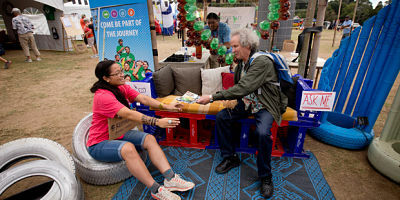 Dionne Christian, NZ Herald reporter wrote a very infromative feature article on youth mentoring last month. It is well worth a read if you missed it.